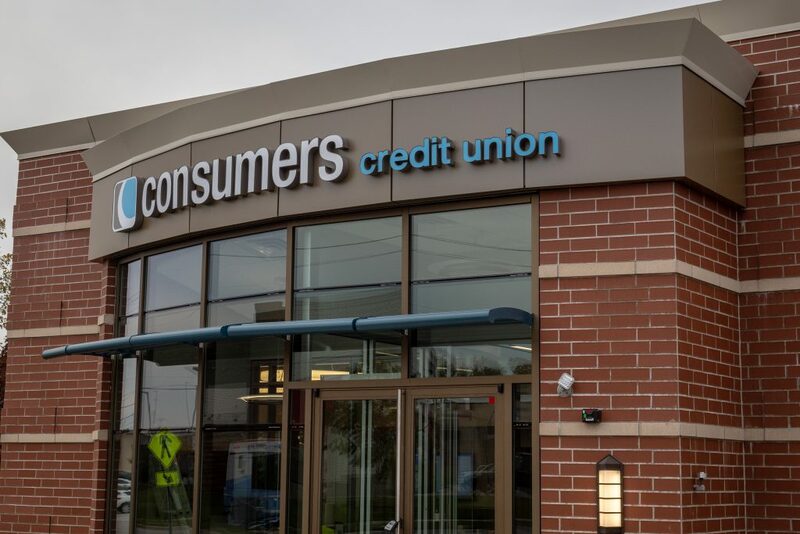 Consumers is pleased to announce the opening of our fifth office in Grand Rapids, Breton Village, located at 1835 Breton Road SE. The full-service office features a contemporary layout complete with our complimentary coffee stations and Wi-Fi. Interactive Tellers will be used in the lobby for speedy transactions and separate office spaces for more in-depth financial assistance with our team members, who will assist with mortgages, business banking, investments and more. Lobby hours will be Monday through Wednesday, 9:00 a.m. to 5:30 p.m.; Thursday and Friday, 9:00 a.m. to 6:00 p.m.; and Saturday, 9:00 a.m. to 12:00 p.m.
Bosch Architecture of Kalamazoo and Copper Rock of Grand Rapids assisted on the project.